Recorded live at Zakk's "Black Vatican" Studio, the Zakk Wylde Signature Edition features songs from Black Label Society's project, Order of the Black. Learn each song two ways with Zakk demonstrating and teaching face-to-face as well as Guitar Apprentice's visual learning method. 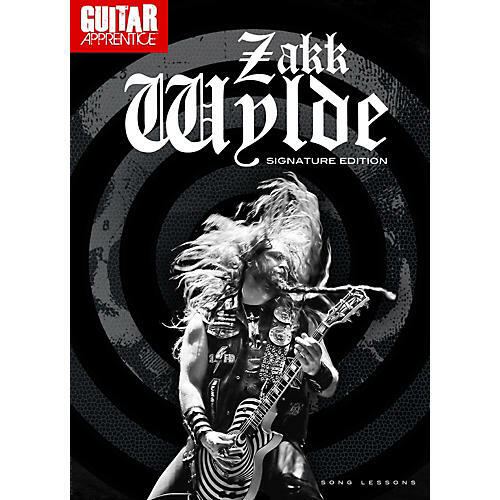 Includes 6 DVDs of instruction taught by Zakk and bonus features: playing rhythm, solo breakdowns, 15 progressive learning levels per song, tour of the Black Vatican, interviews and more!